It is estimated that fishermen kill between 26 and 73 million sharks every year for their fins, which are the central ingredient in shark fin soup. This staggeringly large toll has been amassed, for the most part, in regions of the world where shark finning is unregulated and the trade in fins largely unrestricted. In sum, it's been a race to the bottom to kill as many sharks as possible, mainly to procure a tasteless ingredient in an appetizer. 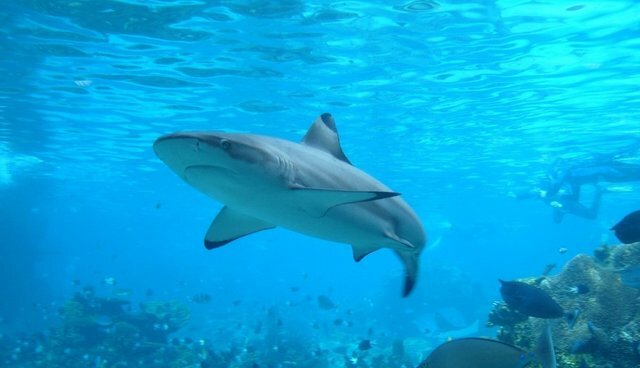 In recent years, The HSUS and Humane Society International, along with a number of other groups, have made great progress against the shark fin trade, mainly by passing a series of state, national, and international bans on the practice of killing sharks for the purpose of selling their fins. In this month's Yale Environment 360, the conservation writer Ted Williams, one of the best in the business, reports that there is also good news from China. There, he says, demand for the fins has fallen dramatically following a compelling public awareness campaign led by the former NBA star Yao Ming. We've been working with the Jane Goodall Institute and other partner groups in China to draw awareness to the trade to supplement Yao Ming's efforts. And finning is banned in US waters, too, under federal law. But, without state prohibitions, it's next to impossible to ensure that fins traded in the US do not come from finned sharks or endangered shark species. That's why The HSUS is continuing to work in state legislatures to close markets for shark fins by banning their sale, trade, and possession. Oscar-winning director of The Cove, Louis Psihoyos, is partnering with us to help promote our state legislative efforts through his new documentary, "Racing Extinction." I saw an advance screening of the movie and it is, like Psihoyos's prior movie "The Cove," vivid and powerful. The movie, to be released through various channels this year, documents the appalling cruelty inherent in the fin trade. With dozens of species of sharks endangered as a consequence of the fin trade, there is a cascade effect throughout these ecosystems and lasting damage to a wide range of species. Shark finning is a gory, wasteful, and reckless practice. Our ongoing state efforts to cut off markets for shark fins will tamp down the US's role in the trade. And globally, we may be reaching a tipping point in turning around the problem, and it's time to step on the gas to get there and finish off this despicable trade in every dark corner where it persists.